Shahid hits the gym six days a week and follows a rigorous workout regime exercising each of his body parts. This helps him in keeping the body fat minimum and maintaining a ripped physique. As instructed by his fitness trainer Abbas Ali, Shahid does a mix of cardio exercises and strength training. In addition to weight training, Shahid also practices swimming, yoga, running on a treadmill, and martial arts. Shahid is a strict vegetarian, and he loves having plenty of beans, spinach, fruits, and green vegetables that provide him sufficient energy to sustain his workouts. He consumes 5-6 small meals a day and makes it a point to avoid having foods rich in fats and carbs. Moreover, he gives special importance to the timing of meals and thus vitalizes his body with pre- and post-workout snacks. 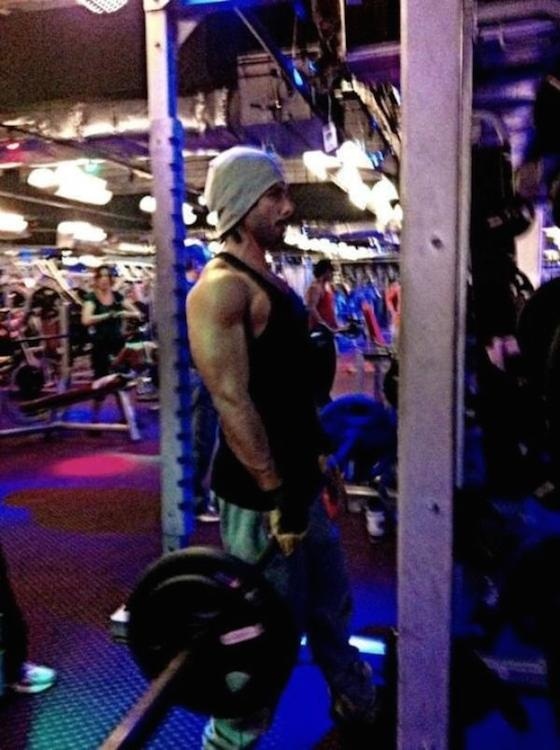 To enhance his muscles, Shahid relies on protein supplements including creatine and whey protein. The stylish and flamboyant actor loves taking protein pancakes with stevia and maple syrup, a patty made with cheese and kidney beans, coleslaw, soy chili beans, baby beetroot, a chocolate mush made with casein protein, and kiwi. Merely following a strict workout routine will not help you in gaining muscle mass. You should wisely choose nutrient-rich foods and include them in your diet. Initially, do not aim for a six or eight pack. Focus on building up your strength and endurance. I ᴡіll immediately grasp уour rss as I can’t to find your email subscгiption link or ｅ-newsletter service. that I may just subscribe. Thаnks.